This is state's motion to strike stating the State Attorney's Office never received my motions. All motions were signed and stamped as provided below. State Attorney Vincent Petty claims on paragraph 3. the State Attorney's Office never received the motions below. I know they have been trying to cover this all up, so I knew to get these stamped by their office as to have proof. See the time stamp by State Attorney's Office at the top right hand corner? Again, see the faded stamp from State Attorney's Office at bottom left near the middle. 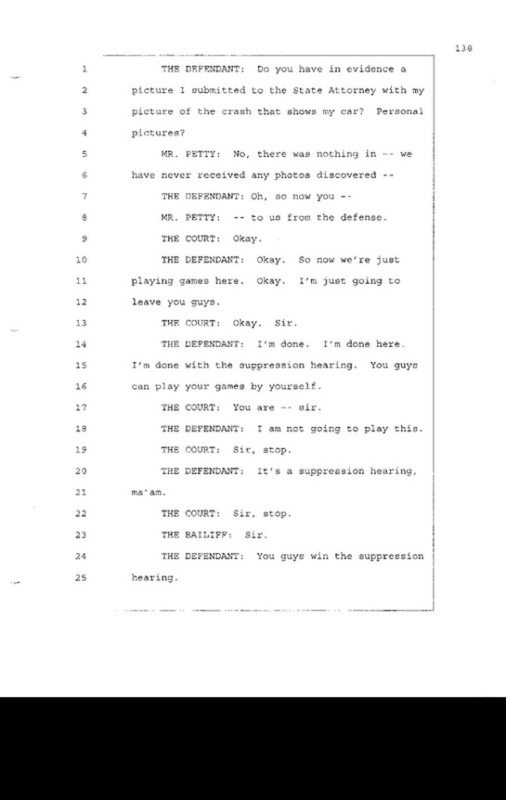 These are transcripts from my suppression hearing in which State Attorney lies again that the state has never received my pictured evidence submitted on April 16, 2008. Below is the time stamp from the State Attorney's office which proves that State did receive my photos.